10 years ago today the iPhone went on sale and changed everything -- so why didn't I want one? 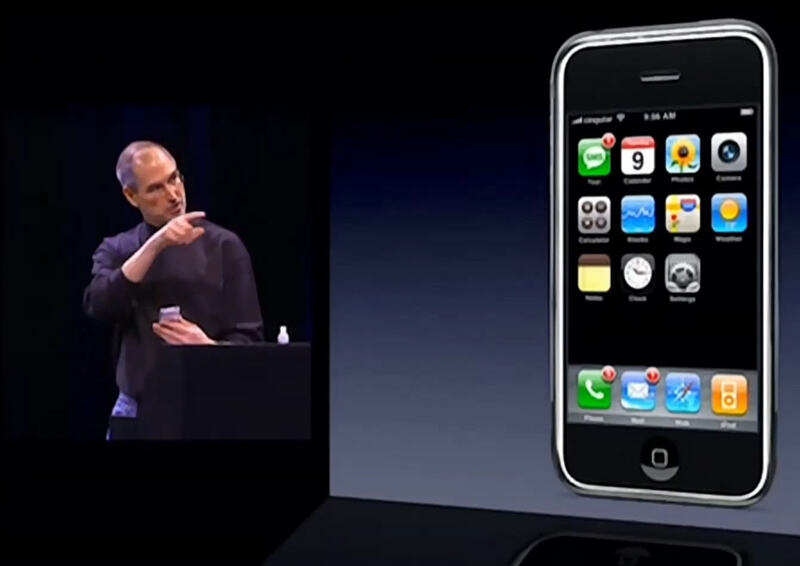 On January 9, 2007, Steve Jobs introduced the iPhone at the Macworld Conference and Expo in San Francisco. It was the usual quality presentation from Apple’s sorely missed boss, with some great moments of humor. Our first glimpse of the phone was in fact actually a mock-up of an iPod with a rotary dial in place of the usual click wheel. The audience clapped and hooted. Jobs then went on to show the real device, and it was pretty mind-blowing. Here was a phone that looked nothing like a phone. It looked nothing like an iPod, for that matter either. It was pretty much all screen, controlled by touch using your finger -- or fingers, thanks to the power of multi-touch -- and was, according to Jobs, powered by OS X. The device could tell if you were holding it portrait or landscape, and knew when you were holding it up to your ear, and so prevent you prematurely ending a call with the side of your face. It came with a 620MHz processor, 128MB of memory and a 2MP camera. It was a magical device. This was the future, being shown right here. A device to be coveted by all. But I didn’t want one. The first iPhone went on sale in the USA on June 29, 2007 -- ten years ago today. 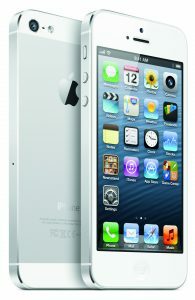 Exclusively on AT&T it was initially available in 4GB and 8GB models for $499 and $599 respectively. Would-be purchasers queued right around the block outside the Apple stores. I wasn’t one of them. Partly because I wasn’t interested, and partly because I live in the United Kingdom and the iPhone didn’t come out here until four months later, by which time the 4GB model had been discontinued stateside and the price of the 8GB model cut by a third to $399. 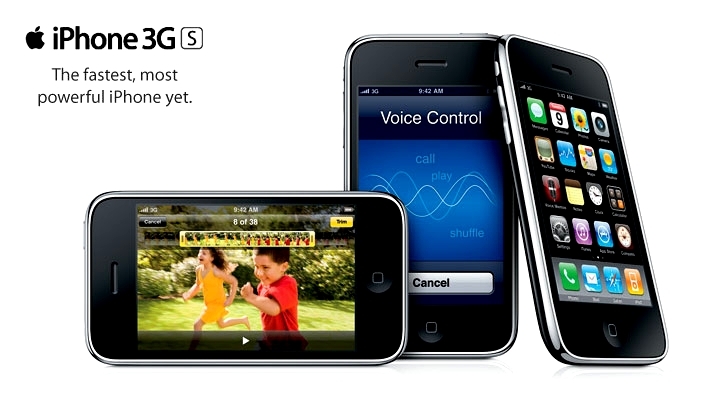 The iPhone 3GS was released on June 19, 2009. This new model came in 8GB, 16GB and 32GB flavors, was faster, thanks to an 833MHz ARM Cortex-A8 processor and 256MB of memory, and had a much better 3MP camera that, unlike its predecessors, could record video (VGA). It offered voice control too. My love affair with the 3GS didn’t last very long though. The iPhone 4 was released on June 24, 2010, bringing with it the Retina Display, a super-speedy 1Ghz Apple A4 processor (making it twice as fast as my new phone, and four times as fast as the original model) and 512MB of memory. It was slimmer, had a glass body, and a new and improved 5MP camera capable of recording 720p HD video. It had a front camera too, so users could FaceTime (Apple lingo for video chatting). It also had a new feature called "Death Grip", which caused calls to drop when you held the phone in a certain way. But Jobs had me at "Retina Display" so I upgraded immediately. On October 4, 2011, with everyone hoping for the iPhone 5, the 4S was announced by new Apple boss Tim Cook. This had various improvements, including 1080p video recording, but the most notable new inclusion was Siri -- a magical personal assistant who could read messages aloud and send dictated replies, tell you the weather, convert measurements, schedule events, and more -- if you were lucky. The UK got Siri’s dumb brother (also called Siri) who was rubbish, couldn’t understand regional accents, and had no idea about local businesses. Thankfully he soon got smarter (and later transitioned into a woman). The iPhone 5, announced in September 2012, didn’t appeal enough to get me to switch. Sure it had a larger screen than its predecessor -- a massive 4-inches -- but my Galaxy S III had a 4.8 inch screen and I didn’t want to lose that real estate. But aside from LTE connectivity, a better camera, and the change from glass to aluminum on the back, there really wasn’t much about the new iPhone to interest me. The Apple Maps fiasco made me even surer this was a phone to be ignored. But then in 2013 Apple unveiled the iPhone 5s, with its stylish new colors -- space gray, silver and gold -- and new 64-bit A7 processor which was twice as fast as the iPhone 5, according to Apple. This device also introduced a new M7 co-processor, F2.2 aperture camera lens, Touch ID -- the long rumored fingerprint reader -- and the all new iOS 7. There was also another new iPhone, the plastic/polycarbonate bodied 5c in a choice of bright colors, but I didn’t care for that. I was already in love with the 5s, and upgraded to it at the first opportunity. In 2014, Apple gave the world the iPhone 6 and 6 Plus. Both devices were much bigger, offered Apple Pay (a new way for iPhone users to pay for their morning coffee!) and sported the usual raft of minor improvements. They also bent. Uh-oh. I wasn’t convinced it was worth the upgrade, however, so chose to stick with my 5s for a while longer. My colleague Joe Wilcox, did buy it though, and was impressed. In 2015, it was time for me to upgrade once more, and again I chose to go down the Apple route. The new 6s and 6s Plus models featured better cameras, a more durable case, Force Touch technology, and a more powerful A9 processor. I almost immediately regretted my purchase though, thanks to a stupid iOS 9 bug which prevented certain apps from being able to use a mobile data connection. Thankfully this was quickly fixed. And in 2016, I upgraded once again, to the iPhone 7, suddenly finding myself on the yearly upgrade path. What had I become? The new model improved the cameras again, and added an A10 Fusion chip that was 120x faster than the original iPhone. Apple also removed the headphone jack, but as I only use Bluetooth headphones with my phone, I was fine with that. This year I'm expecting to upgrade again, but I'll have to see what Apple serves up first (who am I kidding? Just take my money already, Apple). With the original iPhone Apple changed phones forever, and brought us so many good things -- multi-touch, video calling, proper web browsing, built-in personal assistant, and of course apps. It's fair to say, without the iPhone today’s mobile phones would be very, very different. Ten years on and the iPhone is sleeker, faster and more powerful, but it’s still essentially the same device. The first iPhone was a revolution. Every subsequent update has been an evolution, and that -- for me -- is exactly how it should be.